GPS2 Click is an add-on board in mikroBUS form factor. 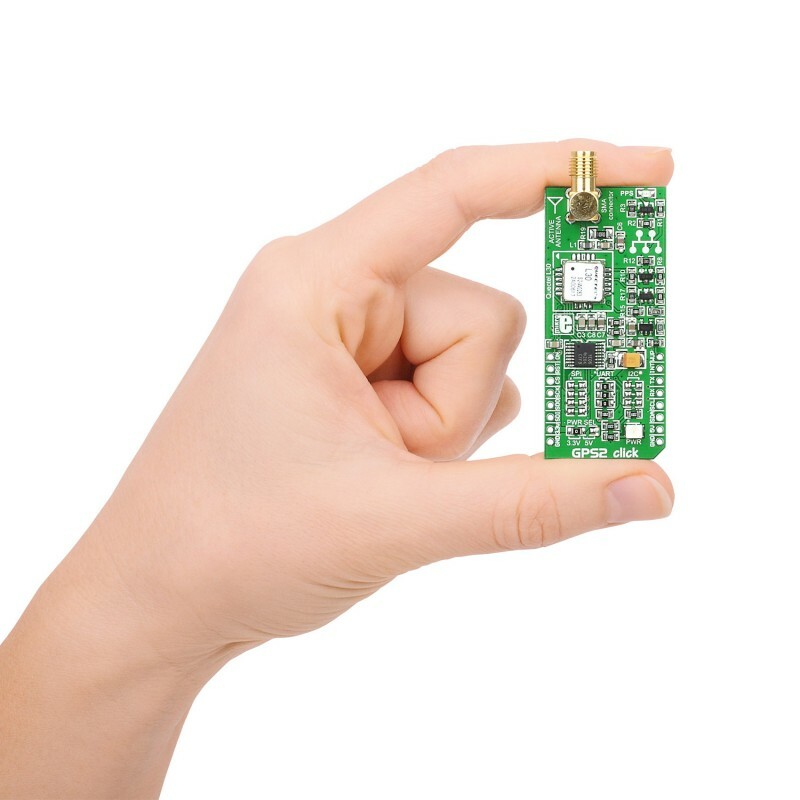 It includes Quectel L30 GPS module as well as SMA antenna connector. 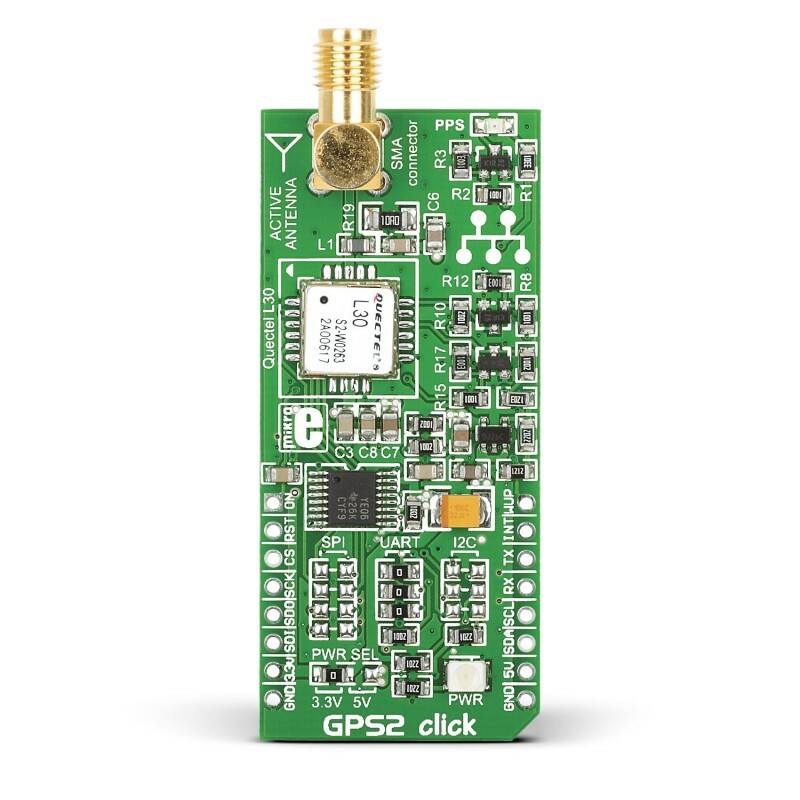 GPS2 Click is an add-on board in mikroBUS form factor. It includes Quectel L30 GPS module as well as SMA antenna connector. Module has advanced jamming suppression mechanism and innovative RF architecture ensuring maximum GPS performance. It supports location, navigation and industrial applications including autonomous GPS C/A, SBAS (WAAS or EGNOS) and A-GPS. 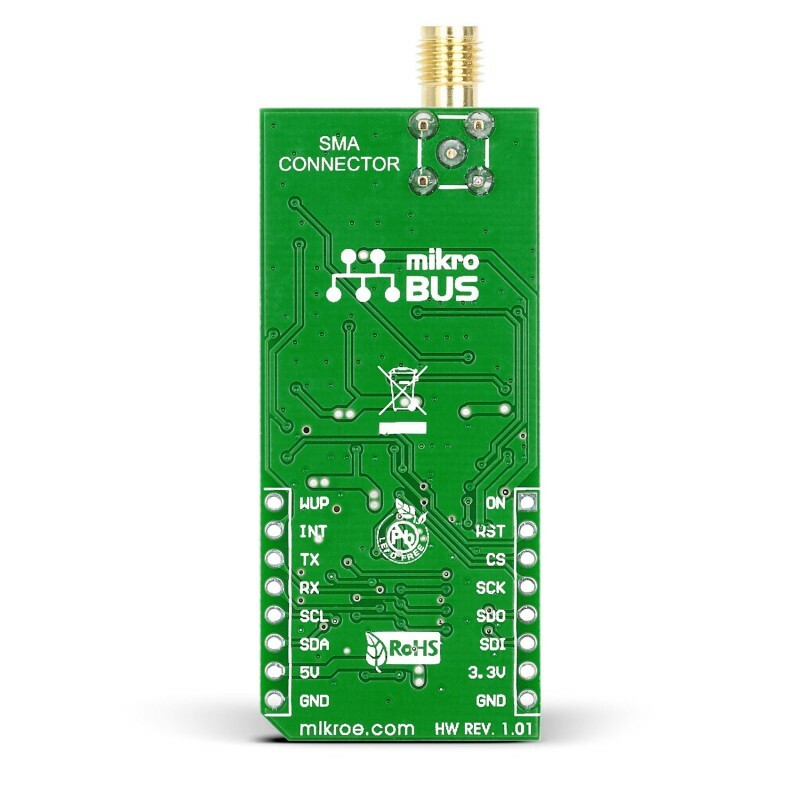 The board is designed for use with active antennas. SMD jumpers are provided in three groups for selecting between UART and I2C communication lines. Another SMD jumper is used to select between 3.3V or 5V power supply. 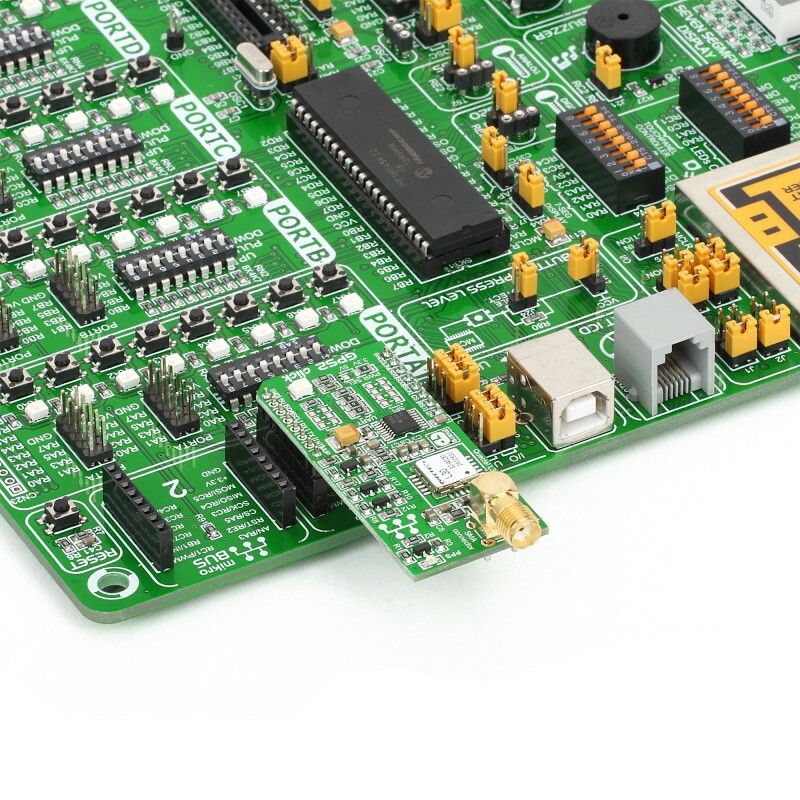 Key Features Supports UART and I2C communication (selectable via jumper groups). Key Benefits Great receiver performance: when driving to enter the tunnel, Quectel L30 can still track and trace for about 15s, unlike some top competitors. Got lost this morning due to my bus driver getting himself lost. He dropped me off in an unfamiliar part of town and there I was, lost. Fortunately for me I had my handy dandy GPS and within a couple of minutes my fear was turn to joy.